On July 20, 2003, Kenny Bass was on a counter-ambush patrol with his Marine unit when an IED detonated. His physical injuries could fill a med school journal, but it was in the quiet moments that Kenny struggled most. Wracked with anxiety, he was one of thousands of combat veterans diagnosed with Post-traumatic Stress Disorder (PTSD). Medically retired by 23, Kenny was in a downward spiral until being teamed with Atlas, a trained psychiatric and mobility service dog. Life has changed dramatically for Kenny and his family since Atlas arrived. 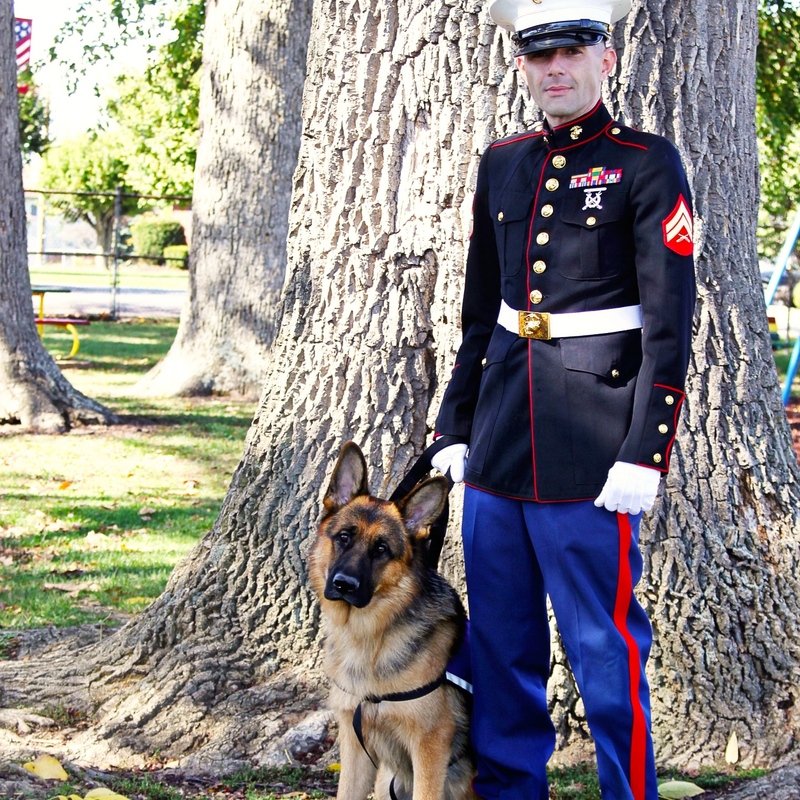 Service dogs ease social anxiety, interrupt nightmares and watch our veterans’ backs. “He’s my Battle Buddy for sure,” says Kenny. Kenny’s personal journey inspired the formation of The Battle Buddy Foundation (TBBF) in 2012, to meet veterans wherever they are in the healing process. For $75,000, you can sponsor an entire service dog team. Receive regular updates on their training and placement with veterans struggling with PTSD and enjoy lunch with TBBF’s founders anywhere in the United States. Click here for more information on all The Battle Buddy Foundation sponsorships.